A reported sixth grand jury empanelled on the matter in Collin County finally rubber-stamped a criminal prosecution of elected 380th District Judge Suzanne Wooten, who had the gall to run against and beat incumbent judge Charles Sandoval in 2008. 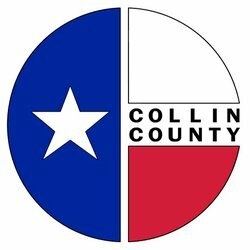 Previous recent crazy goings on in Collin County include include 1) the State somehow obtaining a search warrant for a well respected defense lawyer’s offices looking for evidence against his client in a capital case , 2) lawyers being indicted for clerical mistakes in their court filings, and 3) rumors of an investigation of the Repubican frontrunner and current nominee for DIstrict Attorney, who is well known to be squeaky clean. This all came on the heels of postconviction proceedings revealing that a former elected district attorney and elected judge presiding over a death penalty case were doing the naughty with each other during the trial of a capital murder case. Of course, this news is overshadowed by the scandal regarding District Clerk time management skills. I have been at a conference and hadn’t had time to chime in on Sherman Dumpster Baby Lady. After leaving her newborn in a dumpster behind a restaurant, she finds herself in quite a legal pickle. Abandoning a child or conduct endangering a child can get you in serious doo doo quickly. If the State wanted to hit her as hard as possible, they could ask the grand jury to indict her for attempted capital murder. The grand jury would only have to find probable cause that she intended to kill a child under six years old and attempted to do so.